I've been creating ALL day. Such FUN. Really cute card! Love all the different colored threads! 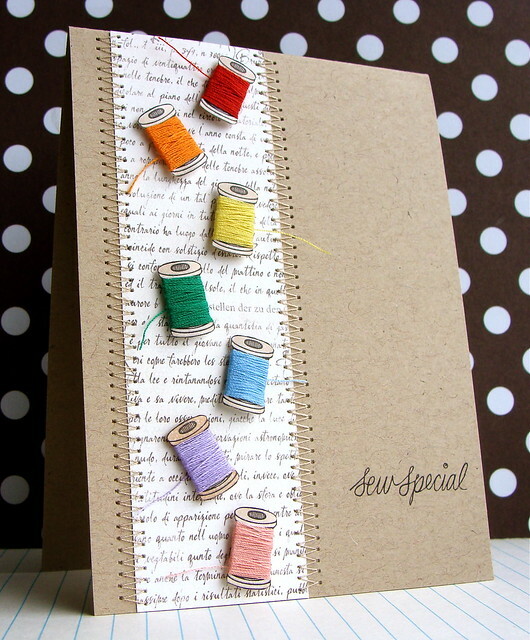 Creating all day - I'm so jealous :) The thread spools are really cute and give such a great texture to your card. Great card Lucy, love your cute cotton reels! Such a delightful card, Lucy. 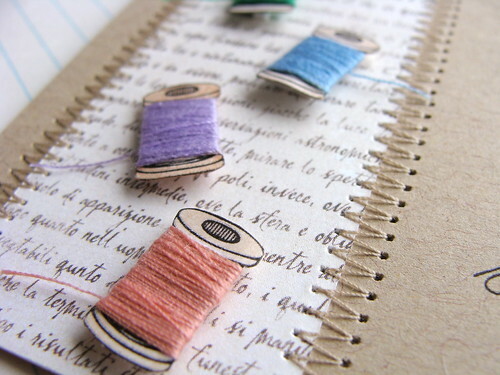 I just love the little spools of thread, they a really special feature. You are so stinkin' clever!!! I adore this card, and will be looking for this stamp set! By the way, Lucy, I used the large Hero Arts doily stamp that was in my blog candy from you, and it is SO pretty! It's up on my blog today if you want to see how nice it embossed! Hugs, and great card! LOVE LOVE LOVE this card!! Its sew cute!!! Can you show me a picture of how you cover up the stitching on the back? Maybe a tutorial in your wonderful stitching techniques!! Your stitching is so great!! what a cute card Lucy. The colours are awesome. So adorable and very, very clever - I love it! Love this card. Can't believe you had to wrap all that thread. What we do in the name of art! Thanks for sharing. So creative, Lucy! I love all the bright colors you chose for threading your spools! Such a fun card! Love how you showcased these reels!! How COOL! Cuteness all round on this one Lucy, love those sweet little cotton reels with the different colours, love it! This is one of the cutest cards I've seen in a long time. Congrats. Oh my!!! What a fun and cute card!!! You should submit this card for the Cute and Fun challenge at Moxie Fab World! That is such an adorable card...ahh!!! Love this card - really nice! Such a cute card! The thread was a great idea. Oh my, this is just too too adorable Lucy! Very creative use of the digi kit! I love this card! The spools of thread are so fun and pretty. LOVE this So FUN!! I swear..your the best zig zagger ever...hugs! So very sweet Lucy! Love the text in the background! Oh I just love this card! I've got to get my hands on this set soon! Brilliant job. just love this one with it being so tactile! this is so cute and fun! 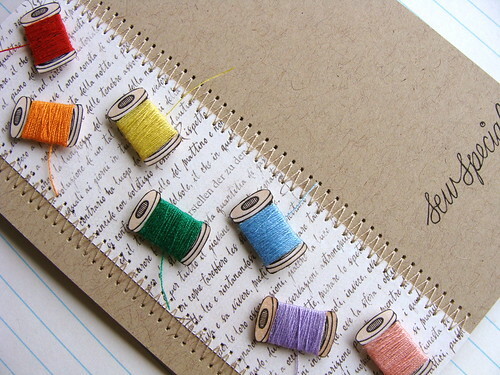 love those color thread spools! Hey Lucy! Thanks for entering the Let's Do Fun & Cute Card Style Week challenge in the Moxie Fab World! I'm so glad you joined in on the fun!